Passengers screamed in terror after their cruise ship tilted nearly 45 degrees at sea. The ship issued out a mayday call when it suffered engine trouble at sea. Photos and videos shared on social media show the ship rocking along rough waters as it tried to avoid colliding with the rocky coast on Saturday. The ship eventually reached the shore on Sunday, 24 March. Former Proteas captain Graeme Smith's parents were also among those airlifted in the dramatic rescue. 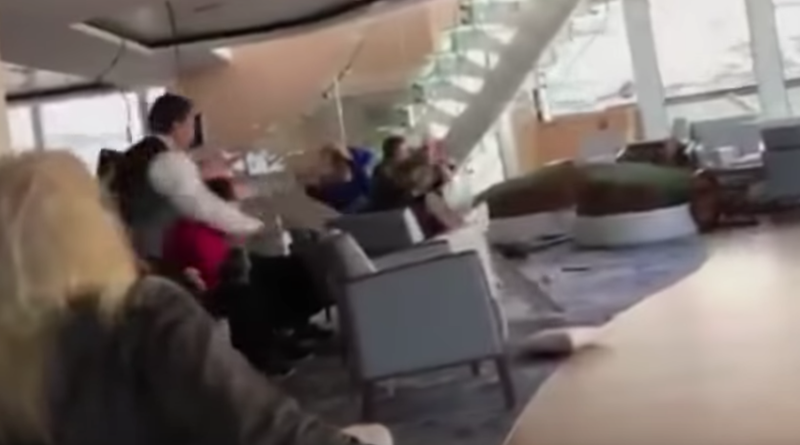 Videos taken by passengers from inside the cruise liner show water pouring in and furniture rolling. Ceilings could also be seen tumbling onto the heads of passengers. Some of the passengers and crew members were injured during the incident. About 450 passengers were airlifted to land by helicopters. Graeme Smith took to Twitter to share the news that his parents were safe.